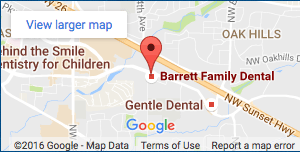 When it comes to needing family dental care in Beaverton, one of the biggest threats our patients’ oral health face at Barrett Family Dental is excess sugar consumption. While many of our patients understand the risk consuming excess sugar can represent to the health of their teeth and gums, many don’t fully appreciate just how dangerous sugar consumption can be to their overall health. This can largely be attributed to the sugar industry’s funding of studies that have misled the public regarding how exactly sweetener affects the body. Studies with financial ties to the artificially sweetened beverage industry that includes brands such as Coke and Pepsi are far less likely to find any connection between drinking sugary beverages and the development of diabetes or obesity when compared to independent studies, finds a review published in the journal Annals of Internal Medicine Report. Researchers involved in the review examined 60 studies published between January 2001 and July 2016 that examined consuming drinks with added sugar and the development of diabetes and obesity. Researchers also identified whether the reports were independently funded, or if they were back by – or if the authors of the studies had financial conflicts with – the sugary beverage industry. Each of the 26 studies that found no connection between the consumption of sugary beverages and obesity or diabetes were industry-funded. Of the 34 studies that did find that a connection existed between sugar consumption and the development of these illnesses, only one had a link to the sugary beverage industry. “This industry seems to be manipulating contemporary scientific processes to create controversy and advance their business interests at the expense of the public’s health,” concluded the review. The review also noted the industry has also strongly opposed soda and sugar taxes, federal nutrition guidelines and calls by lawmakers to place warning labels on sugary beverages by disputing the science against artificially sweetened beverages. This review comes recently after a JAMA Internal Medicine investigation found that the Sugar Research Foundation – currently known as the Sugar Association – paid three Harvard scientists roughly $50,000 in the 1960s to publish misleading research that blamed cholesterol and saturated fat as the primary causes of heart disease, and that downplayed the role of sweeteners as a risk factor. PLOS Medicine reported last year how the sugar industry also influenced U.S. cavity research in the 60s and 70s by convincing government scientists to study ways of preventing cavities that did not include cutting sugar from the diet. These revelations and others have caused many health experts to compare the tactics used by the sugary beverage industry to those used by big tobacco companies to distort the truth and hide the consequences of using their product to the public at large. Despite what narrative the sugary beverage industry continues to push, research has clearly shown the damage that excessive sugar consumption can cause to our oral health. Drinking just one can of soda a day means making far more trips to receive family dental care in Beaverton. Even the artificial sweeteners added to diet brands of soda have proven to cause tooth decay and oral disease in studies. Lowering your risk of tooth decay and gum disease means lowering the amount of sugar you consume on a daily basis. A balanced diet – one loaded with fresh fruits and vegetables – will have a far more beneficial impact on your weight, oral and overall health than any diet that includes too many added sugars. Considering that other studies have linked sugar consumption to chronic health problems as varied as heart disease, stroke, depression and cancer, it’s easy to see just how dangerous excessive sugar consumption is regardless of how clouded the sugary beverage industry tries to make the picture.